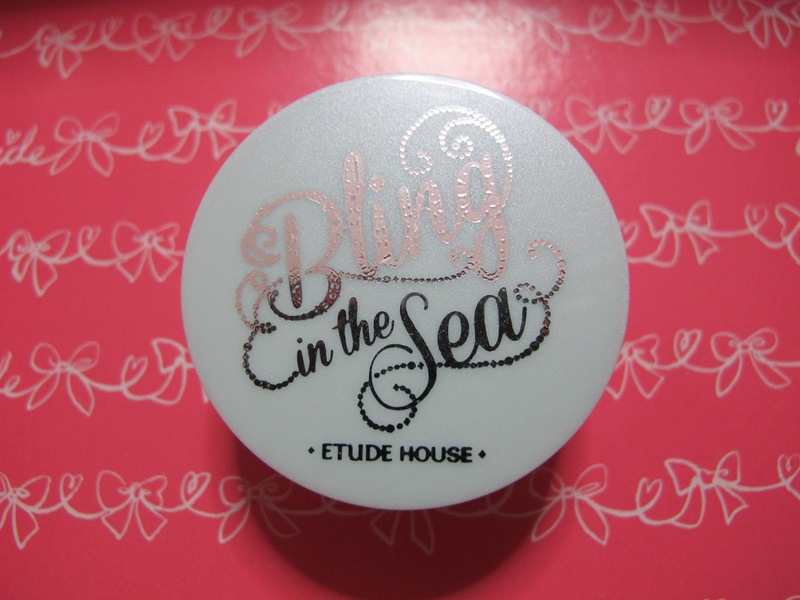 Firstly, I wanna talk about these Proof 10 Bling Bling Eye Sticks. 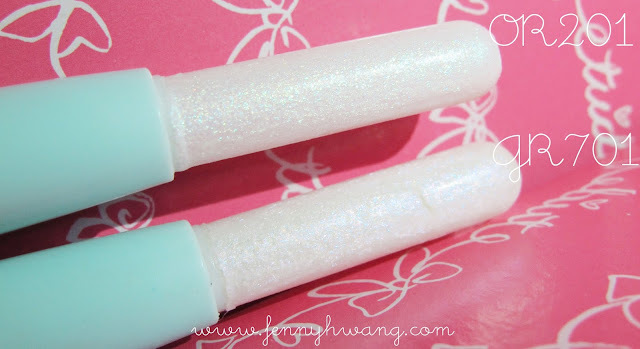 They're kinda like glitter creams packed in a twist-up stick, and not so much an eyeshadow because it only has glitters and not a base color. This product can be used several ways: as an eyeshadow base because its waterproof, as a tear duct highlighter, and also as an eyeshadow over dark colors. However, I felt that the glitters are slightly intimidating to me - I'm very afraid of glittered liners and stuff cos it goes into my eyes! So far so good for this. I have to control the urge to rub my eyes! Doesn't this look like a certain luxury label's design? Hehe. Each color contains 2 or more different colored glitters to make it more bling and iridescent. It shines better under light, and can look like a different colour at a different angle. It looks very sheer when looked straight at. Haha see how much more bling it is when layered over black? It shows more color and shine when layered over a dark eyeshadow or eyeliner. Overall, I felt that its a good product but just.. not my cup of tea. I wear glitter liners but not blue or purple :P yeah, I'm not adventurous when it comes to fancy eye colors. It is waterproof for awhile (4 hours for my teary eyes) before it starts sliding around. No fallouts onto my cheeks though! 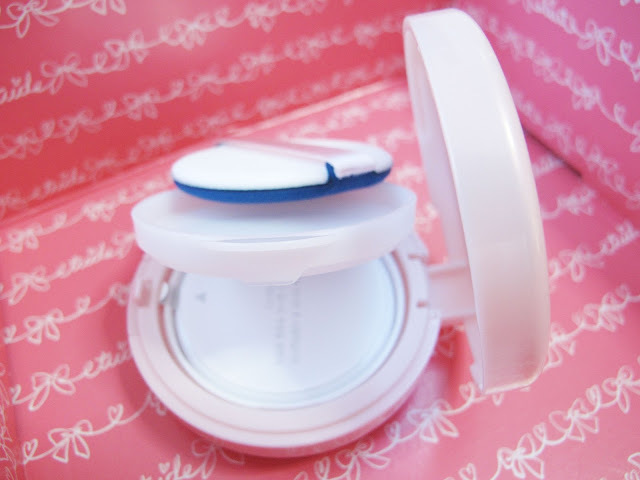 Another new product that they sent is the Precious Mineral Any Cushion! Its a "global exclusive" product meaning you can't get it in Korea, but its available at all other Etude House stores around the world. I was sent the color W24 Honey Beige while my usual Etude House BB Cream color is W13. 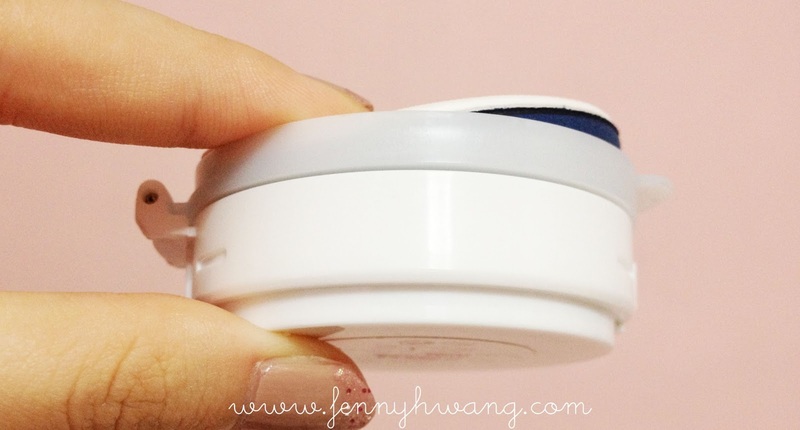 Was kinda like D: when I saw that it was W24 cos that's my bro's Etude House BB Cream color! Its for a darker skin tone. But anyway! This product is like a popular Korean "L" brand's hero product, liquid makeup absorbed in a sponge, housed in a compact case. I have both products and Etude House's one has a better coverage. 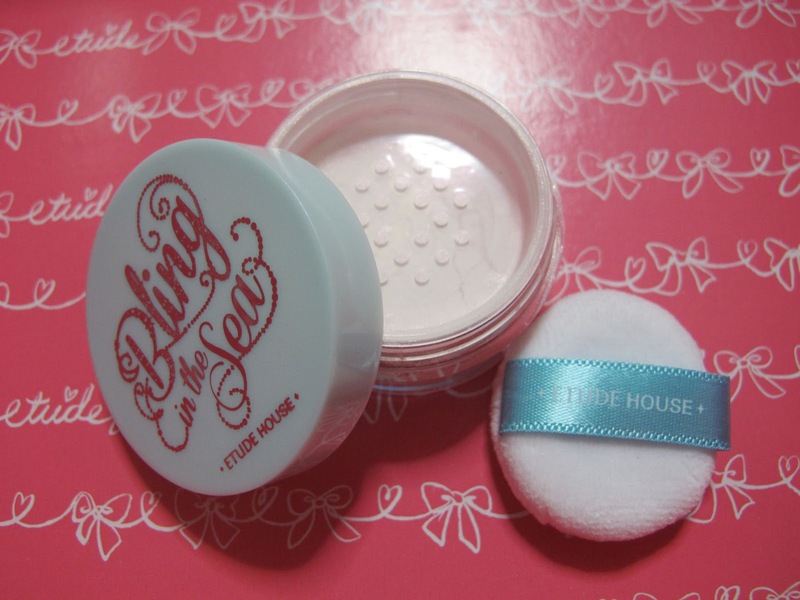 The product in the "L" brand is BB Cream, while its a foundation that in Etude House's Any Cushion. 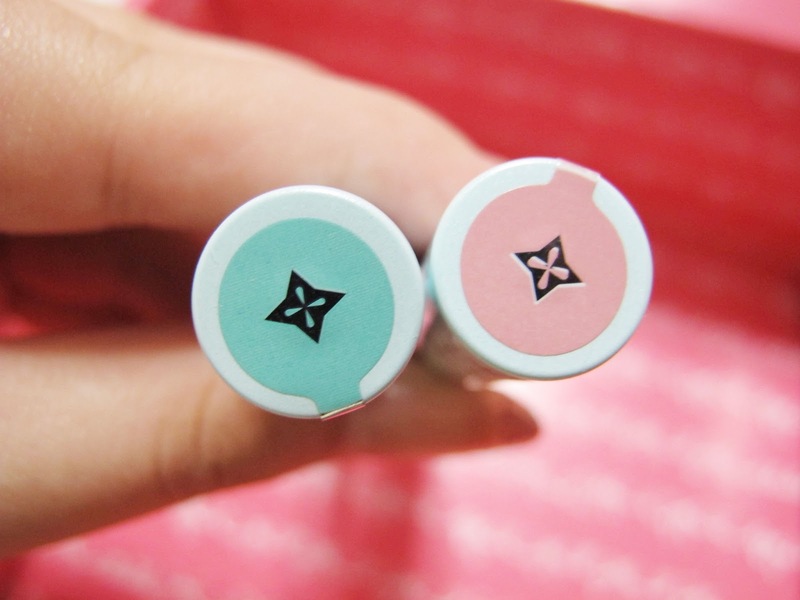 I almost wanted to say that Any Cushion is a dupe for "L" brand's Snxw Cushion, but its definitely not as Etude House's Any Cushion is way better! Definitely a product you have to try. There is a seperator that holds the puff away from the product, and a mirror that covers the entire underside of the lid. Soft sponge that holds the foundation. This is how the color W24 actually is inside the case. As you can see, its too orangey and tanned for my skin tone. a very good point despite it being off my color is that, it is able to conceal blues and greens (like veins, dark eye rings)! 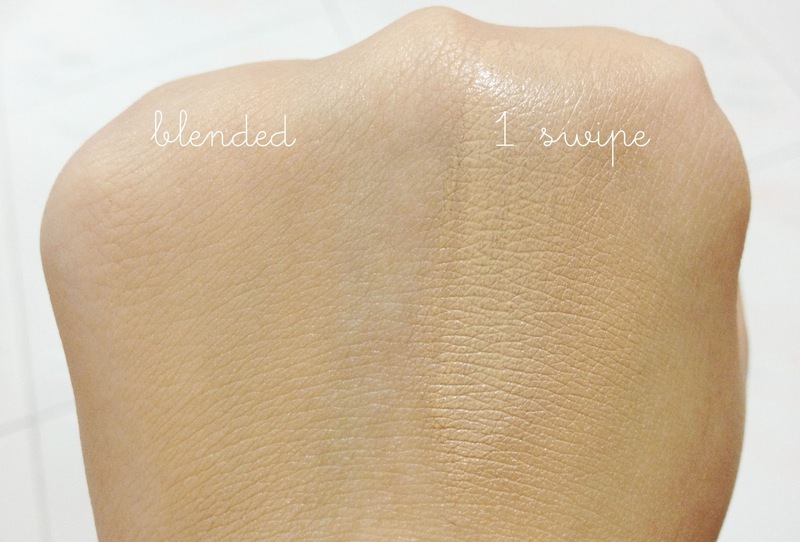 Check our how well it covers my veins as compared to the middle where no product is applied! Imma use this to conceal my dark eye circles!!!!! Press the back to pop out the refill! And there you go! Its refillable, so I believe you can just get the refill if you are only planning on using it at home and not bring it out. 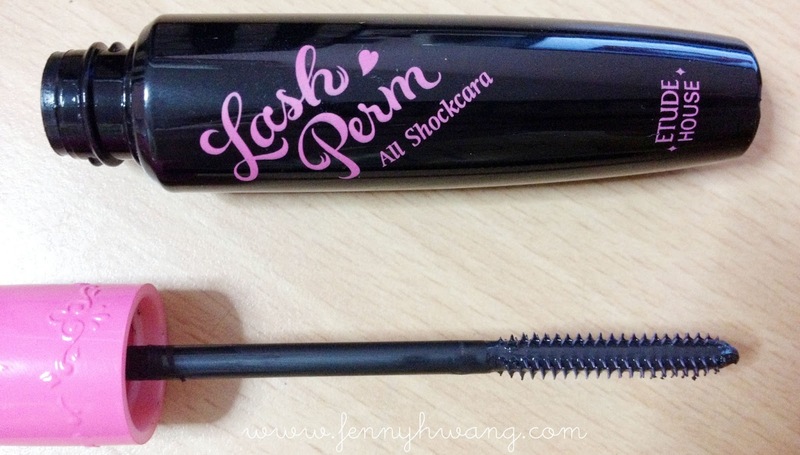 This next product is my favourite of the box - the Lash Perm All Shockara!!! I needed a mascara that's waterproof cos one of my fave one expired. This came at the perfect time. 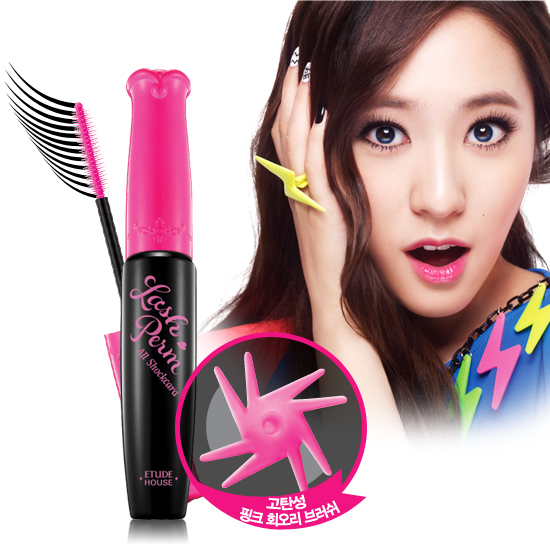 The mascara wand is made of plastic spikes instead of the usual scrubby brush thingy. I felt that it seperates the lashes wonderfully and coat it with a thin and even coat of mascara. I never liked my mascara looking clumpy so this was awesome!!! However, its not very waterproof as I went into the bath (accidentally, forgetting to remove my make up) and the mascara came off in filmy rubbery bits. Maybe its water washable. Hehehe. I have veryyyyy thin and shorrtttt lashes, so I always prefer to go for lengthened and defined lashes than clumpy volume. My lashes (also like my hair) is so dead straight and curls don't last long at all. I invested in a Shu Uemura curler (which does a good job at curling) and a heated eyelash curler but they still don't hold curls well enough. Now I found the secret. Use a normal eyelash curler to crimp it first, then apply mascara, then a heated eyelash curler. IT LASTS! The length you see in the above picture is sadly, the max length my lashes can look. #depressed. The cross-section of the brush is like this! Super cool! Okay my post is probably too long by now (IM SO SORRY IF YOU TLDR-ED) but hey, all the truthful info man. Hehehehe. 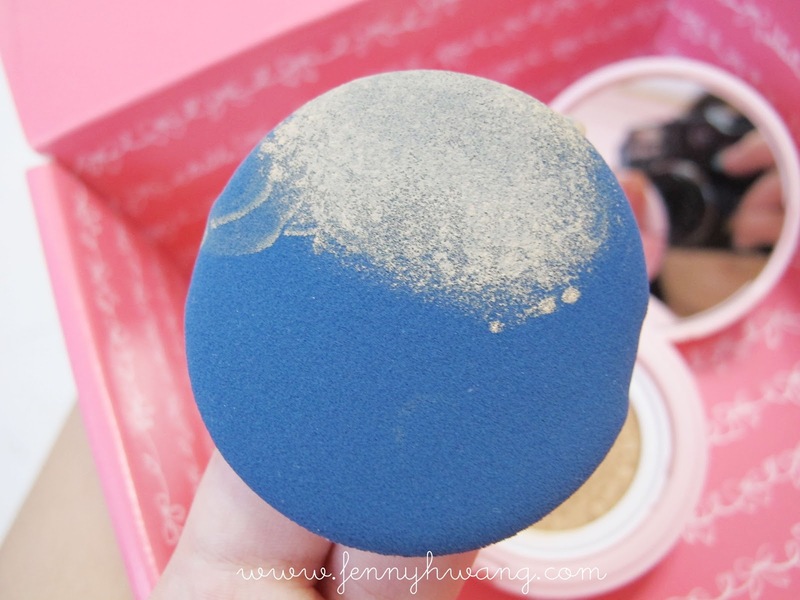 Anyways there's also the Cheek Designing Brightener, which is meant to be a highlight powder for cheeks only. Initially I thought I could use them on the face (forehead, chin) but its pink, so it could only be a blusher. 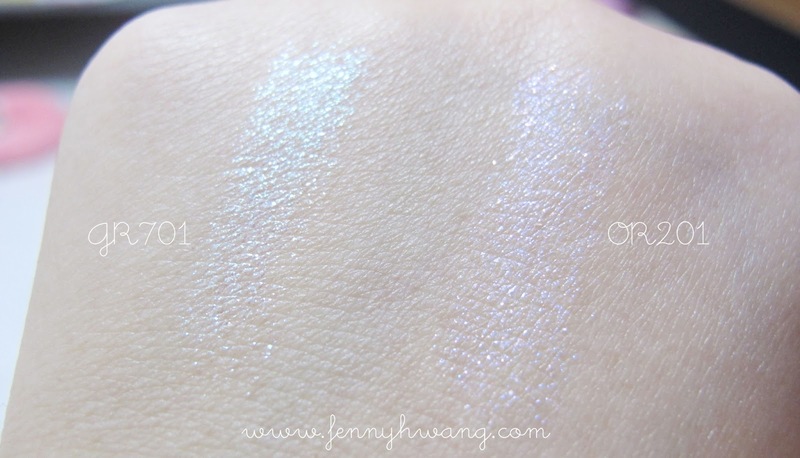 Its quite iridescent too! Previously I shared some pictures of this product and now I'm gonna talk about it. 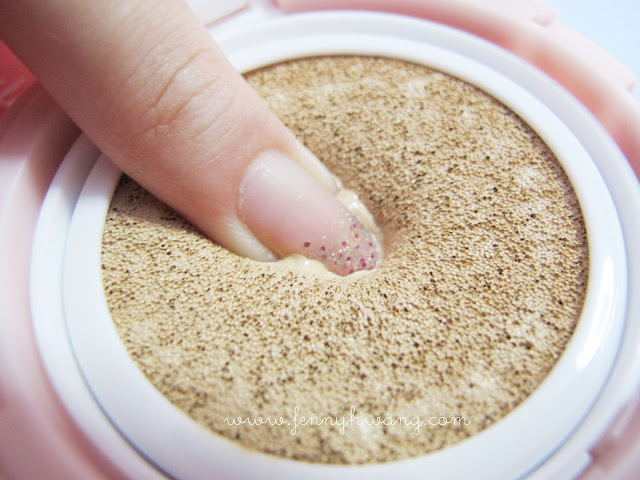 Its a sheer glitter loose powder, where the glitter is VERY FINE. It shines pink to purple, and is better layered over pink blusher to nicely highlight the apples of the cheek. I don't like glittery blushers, but this is really nice. Provides more of a sheen effect than a disco ball look. I love it! Comes in a small container with a sift and the cutest puff everrrr. I actually liked the design. hehehe. 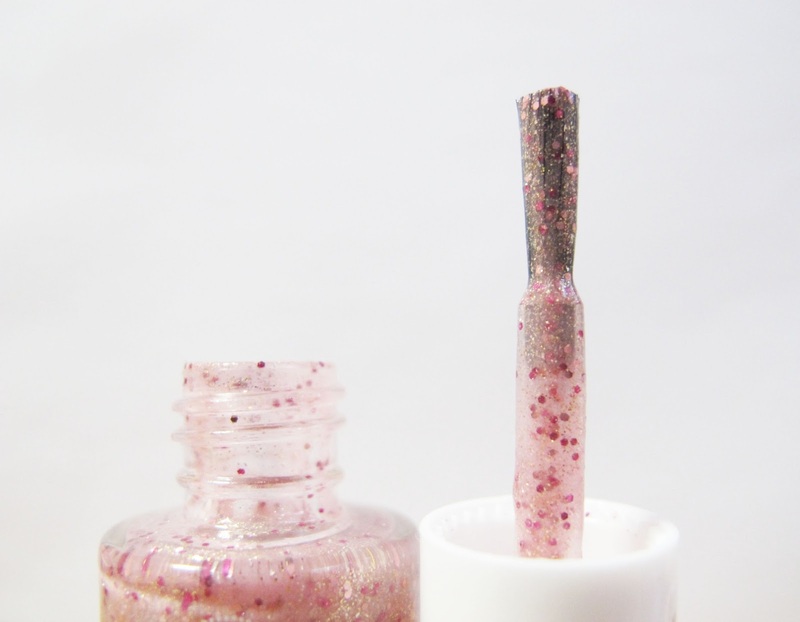 Last little thing in the box - Sparkling Nails in #2 Magic Kiss. I havn't got the chance to swatch it yet as I had another color on my nails :( Will do so very soon! I am diggin that silver one! Pretty glitters!!!!!! Have you heard that the Etude House's annual Pink Play concert is coming to Singapore on 27th August? Brand ambassadors SHINee and Sulli of f(x) will be coming, along with Taiwanese make-up maestro Kelvin!!! I always watch NRWZD so I'm actually most excited that Kelvin lao shi is involved. hehehe. Stay tuned to Etude House's Facebook Page for first-hand updates and remember to only buy authentic Etude House products from their stores for the best Etude experience :) P/s: they always have mini contests on their page, so do always check it out to win some items! I just know that there are Etude ver of the bb cushion..haha..
it looks nice but why it is not popular?i wonder..
anyway, i will like to ask. Do we need to use any bb cream/foundation under Precious Mineral Any Cushion? i bought both the L and the E brand one. at first i like the L one but now i love the E one. cos it gives better coverage and it is lighter. the color is closer to my skin tone and looks more natural than L..although L also look natural for me but this one is even better.